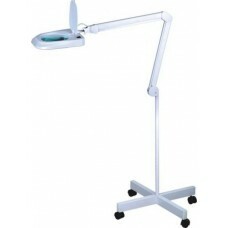 Magnifier lamp BETA 3D (LED), buy at the price of 97 in Europe. Any cosmetic procedure always begins with a diagnosis and requires a complete assessment of the state of the skin, not to miss the flaws during the procedure. At all stages of use lamas Magnifier - a magnifying glass with an increase sufficient to quality diagnosis and equipped with a powerful illuminator light source close to the natural. This allows the quality to do any work and does not cause the quick eye fatigue. Lamp-magnifier Beta 3D (LED) brings together an economical LED Illuminator, giving a powerful light output and white magnifying glass with a diameter of 140 mm optical power 3 D (closer to 3 times). Bottom LED transparent screen closed. To protect against dust, magnifying glass on top of the protective flap is closed curtain. The body lamp head is in the shape of a rectangle with rounded corners and a thickness of 4cm. Housing material - plastic. Reliable, powerful folding bracket is made entirely of metal. 45cm length of one knee, which will raise the illuminator to a height of 1m above the table when attaching it to the clamp. 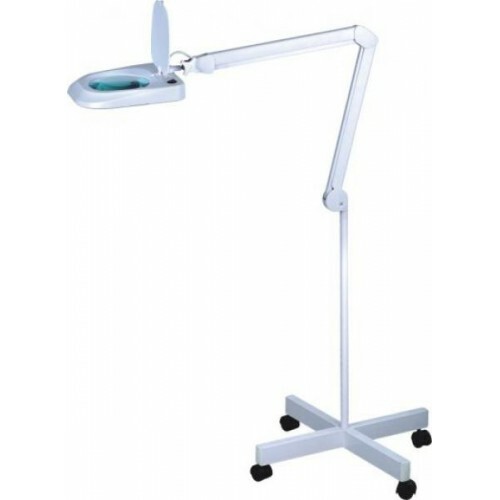 The lamp is equipped with a metal clamp for attaching to the table or cosmetic trolley and mobile stand (equipped with wheels for ease of movement).